CEBU CITY – Regional basketball power University of the Visayas made another stunning change after a disappointing season, replacing coach Felix 'Donbel' Belano with former Green Lancers player Gary Cortes. According to UV officials, the call to replace Belano was made by the school’s top brass last week after the players met with them immediately after finishing in fourth place in the 10th Asian Universities Basketball Championship. UV is the winningest team in the Cebu Schools Athletic Foundation Inc. (Cesafi) with 10 championships including the 2013 crown where they came back from a 0-2 deficit in the finals to stun the heavily-favored Southwestern University Cobras under Belano. However, trouble already hounded the Green Lancers as early as the preseason when they decided to let go of former rookie-MVP Wowie Escosio. The Green Lancers also failed to get a single victory during the FilOil Preseason Cup. The Lancers finally unraveled in the semifinals of this past Cesafi season when teammates Franz Arong and Jeffakins Aguara almost came to blows near the end of their loss to eventual runners-up University of San Carlos. The two players were eventually suspended by the school’s management for the rest of the season. 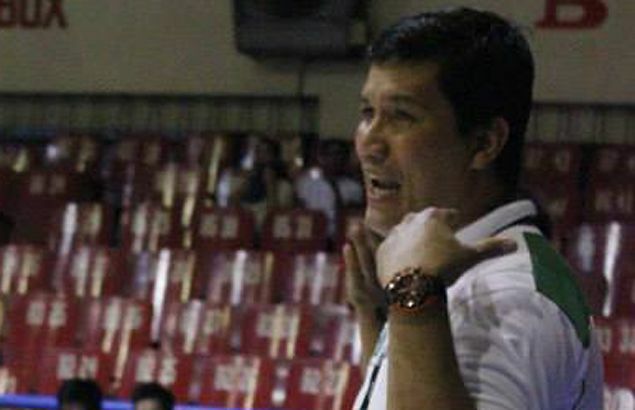 Cortes will not have much time to adjust to the new role as he is set to lead the Green Lancers in a tournament in Lapu-Lapu before they compete in the Elite Eight of the 2014 Philippine Collegiate Champions League. In a short talk, Cortes, who played for the Green Lancers in the late 1980s and the early 90s, admitted that he is nervous about the new job, given the school’s winning tradition and high expectations. “Lisud sad because of the expectations to win but I will try my best to get my players in the best position to succeed,” Cortes said. Also gone from the coaching staff is longtime assistant coach Bong Pineda, who is already with the Café France Bakers in the PBA D-League. Helping out Cortes is Van Parmis and yet another former UV varsity player in Junel Maglasang.